Parties in the PNG Opposition have merged to show solidarity in their aim to pursue the removal of the prime minister. In a press conference today in Port Moresby, the Opposition Leader and National Alliance(NA) Party leader, Patrick Pruaitch announced the merger of the PNG Party and Member for Moresby Northwest Sir Mekere Morauta, with the NA. Party Leader for PNG Party Belden Namah, said the move was basically to strengthen the Opposition, to bring confidence to the people and send a clear message to the country that the Opposition is ready to remove Peter O’Neill as Prime Minister. “The reason being that the prime minister has brought this country to its knees with major debt,foreign exchange issue, and medical drug shortage and other issues,” said Namah. Meanwhile, Sir Mekere Morauta emphasized that good governance is needed and the merger clearly shows the determination of the Opposition to achieve that. However, despite the merger not in any way at all boost the number of the Opposition to evencall for a vote of no confidence, Pruaitch said it creates a single party and it is important that NA’s number has increased. Pruaitch has indicated also that the move to gain support from members in the government side is a working progress at this time. 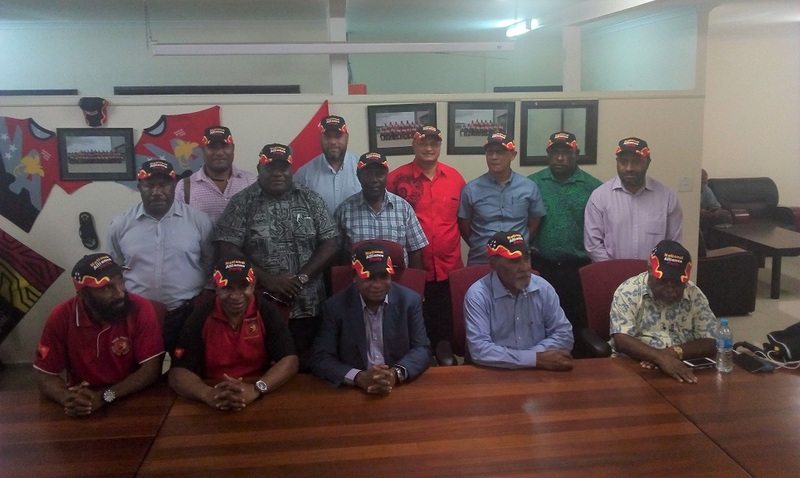 PNG Party comes in with fiver members to join the National Alliance Party.